I tried to install patch 227d and it complained about missing dlls. I added several before it error on a dll reference and I couldn't move on to the next error. All of them have something to with networking. There are also older versions of OldUnreal to try. Man you are a wizard. I'll try some of these next. I didn't install anything relating to networking or the 98 sp3 unofficial patch. I feel like I could manage those dll dependencies, I just don't want to install the kitchen sink. I have some bad news. I got OldUnreal 227d working without any problems whatsoever. 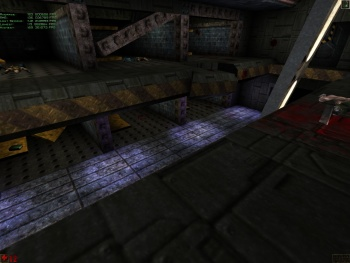 I installed it over a CD install of Unreal 1.0. Chipset driver, ethernet driver, NV USB 2.0 driver. Video and sound drivers. DirectX 7.0a. I installed some of my usual convenience stuff - Winrar 3.93, Firefox 2.0.0.20, Driver Cleaner Pro, Irfanview, 3DMark2000, Notepad++. The sound in OldUnreal 227d was a bit screwy and that was caused by their OpenAL audio engine. I switched Unreal back to Galaxy3D audio and that was fixed. swaaye wrote: I have some bad news. I got OldUnreal 227d working without any problems whatsoever. I installed it over a CD install of Unreal 1.0. Ha! Sweet! Don't know why it isn't working for me... did you do the fat install of windows 98? I chose to remove a bunch of components I felt I didn't need, otherwise it is stock 98. Yeah I just do the "Typical" install option these days.